A small fishing village on the western coast of the New Zealand South Island, Jackson Bay could easily be overlooked by travelers faced with a seemingly endless array of sights, activities, and natural attractions. 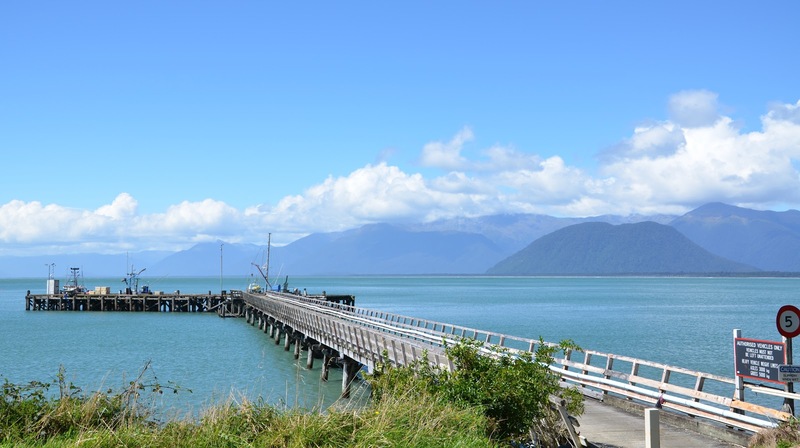 The picturesque bay on the Tasman Sea was a booming fishing port when European settlers hunted whales to supply oil and fish for food, but since is notable only as the end of the road leading south from Haast. 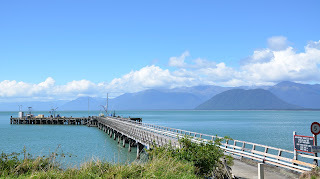 A fishing pier and a small fish packing plant are still operational to serve the remaining commercial fishing industry, but generally Jackson Bay is the last stop of the desolate coastal highway along the Tasman Sea. At the foot of the fishing pier is a small trailer that houses the Cray Pot Restaurant. From the outside, it looks less impressive than many of the “roach coach” food trucks that frequent construction sites, festivals, and fairs around the United States, but first impressions, in this case, would most definitively be deceiving. Traditional New Zealand favorites, such as Whitebait sandwiches, complement a menu of fresh fish that is prepared either grilled or fried along with a surprisingly good salad. 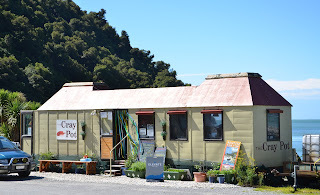 The fish at The Cray Pot was the best that I had while in New Zealand and was refreshingly complimented by the organic tea and juice blend that was recommended by the chef. The quaint ambiance and memorable turquoise waters of Jackson Bay make the 80 minute (round trip) detour well worth the visit for those traveling along New Zealand’s Tasman coastline.